Everything I know about Napa comes from a movie, and that movie is Sideways. So I suppose it’s fitting that my first ever trip to the area was for the Napa Valley Film Festival. NVFF combines movie buffs with wine connoisseurs, which might be the ultimate pairing. Name a better way to pontificate over a film than with a glass of wine in your hand? This year’s lineup runs the gamut, with narratives from up-and-coming filmmakers to foreign language films to one of the most hopeful documentaries to come out in recent memory (The Biggest Little Farm). In fact, there’s almost too much to see and eat (food demonstrations! ), and not enough time to do it. NVFF 2018 kicked off opening night with arguably the most anticipated movie of the festival: Peter Farrelly’s Green Book, starring Viggo Mortensen and Mahershala Ali. At 4 p.m. outside Uptown Theatre, a line started to form for the 5:30 p.m. showtime. By 4:30 p.m., the line was wrapped around the building. I chatted with movie-goers and locals who attend the festival every year, with Viggo Mortensen no stranger to the circuit, as Captain Fantastic played here back in 2016 (and Mortensen attended). 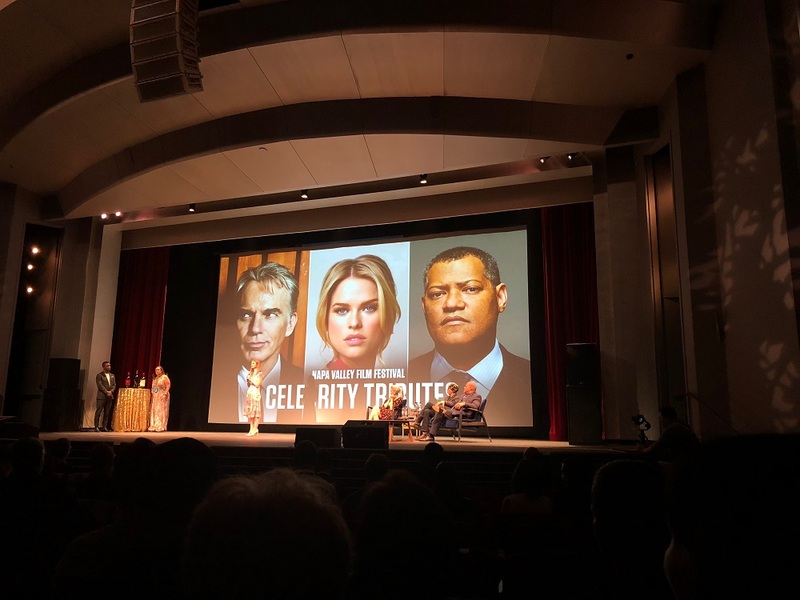 This festival is something residents look forward to and support every year, even with films like Vox Lux, which seemed to mystify audiences. I didn’t make it in time for that screening, but from what people in line said, it left them scratching their heads. But Green Book certainly didn’t cause such confusion. It played the audience similar to the way Mahershala Ali’s character takes to the piano with control and precision, knowing all the right notes to land on. Ali plays Don Shirley, a genius pianist who hires toughie Tony Vallelonga (Viggo Mortense) to drive him around on tour in the deep South. One of the screenwriters, Vallelonga’s real-life son Nick, revealed in a Q&A after the screening that Shirley knew a film was planned, but would only give his blessing if it were completed after he died. While Mortensen’s Tony secured most of the laughs and reactions from audiences in the film, Ali owns this movie and could not only walk away with another Oscar nomination, but maybe even a win. He really transforms himself for this role, especially in his physicality. At times, it was hard for me to remember that this was the same actor from Moonlight, Hidden Figures, and the new True Detective. Ali is a commanding actor, but in this role, he demands attention with his subtle movements and restraint. After the film, I headed over to Feast it Forward for the Opening Night kick-off party and since I didn’t get a chance to eat much during the day from all the travel, was starving. I literally piled cheese and crackers into my hands (we couldn’t find plates!) and guzzled down wine (thankfully, in a glass). I spotted Kim Coates (who Sons of Anarchy devotees will know as Tig Trager) and William Fichtner, both stars of NVFF film Cold Brook. “I’m starving!” Fichtner said as he passed by, me with a lap full of cheese. Later, when I returned to my hotel room, it was surreal to catch him in a rerun of Mom, knowing he was literally down the street. 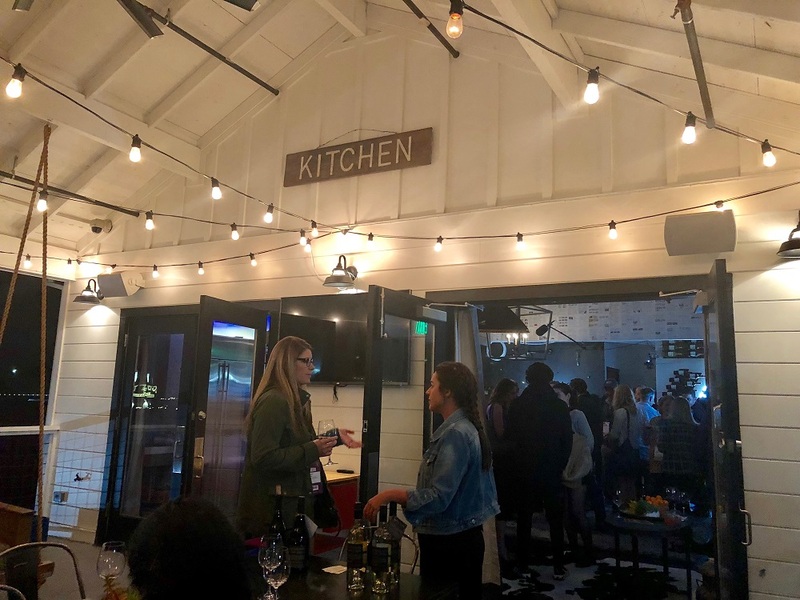 During the Opening Night party, I spoke with Austin Simmons, director of narrative short Last Meal, and then the next day had the pleasure of seeing his film during a Narrative Shorts presentation at the Archer Hotel. Last Meal is about a prison chef who dreams of being on an Iron Chef-type of reality series, and it’s a really thoughtful reflection, especially thinking about what the last meal represents for a human being on death row. While Simmons is only 24, his short is impressive, especially since they got to shoot on location at a real prison. Women directors/creators were also very prominent in this genre, as en route to the presentation, I shared an elevator with Kelly Tatham, who wrote and directed the delightful narrative short Multiverse Dating for Beginners, which features one of my favorite endings of any film I saw at the festival. Think: Groundhog Day for modern single women and multiply it by Rick & Morty. I really dug this one, and will probably think a little differently every time I throw my scarf around my neck now. Tatham said she’s hoping to release it to the public around Valentine’s Day – so stay tuned for it. Other notable shorts from women included Have it All, written and directed by Katie Locke O’Brien about one mother’s preparation for a work meeting, which received riotous applause (deservedly so), and The Brownlist, written by Ursula Taherian (who spoke in a Q&A after the presentation), which documents her struggles as a biracial actress who isn’t “brown” enough or white enough—truly hilarious and I could see it as a TV show (a more edgy version of NBC’s I Feel Bad). At Cameo Cinema in St. Helena, I saw a matinee of The Biggest Little Farm, one of Neon’s Oscar hopefuls for documentary. I was captivated by this film, the story of a couple who buys a dilapidated farm and turns it into a lush paradise. It spans the course of 8 years, and with recent news that the earth could be irreparable in 15 years’ time, it’s one everyone should see, to inspire humans to turn it around. There are some truly beautiful visuals in this documentary, and while it’s a crowded Oscar race this year, with Won’t You Be My Neighbor? leading the pack, I’d love to see this one get in for Best Documentary. Coming up in Day 3 and 4: Geena Davis tribute and a premiere of a new National Geographic TV show about the rise of the Internet.